Your buyer: Developed an inkling that grew into a hunch. And now, they’re totally gripped in full blown desire … they “need” a new RV. So, like you (when you’re in that same “Want one!” “NOW!” state of mind), they do what all good consumers do – they Google it. Let the RV Buying Fun Begin! Purchase decisions. The buying process. Buying cycles. Timelines. Costs. Benefits. Where am I going to turn? How can we narrow down the options? All of this self chatter happens – when the buyer is looking at your RV listing. They’ve got $75,000 cash they want to spend. Your ad HAS TO stir every buyer to act. 30 high-quality photographs (minimum) of each unit. A great product demonstration video for each unit. Write killer, original content descriptions, state the benefits of some of the key features of the unit and use effective calls-to-action. What More Can You Do Than Create A Rock-Star Listing? 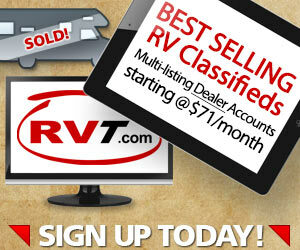 Most dealers are shocked when they learn how many active, online RV shoppers there are in their local areas. In the Pacific Northwest – Almost 30,000 buyers come onto RVT over 45,000 times and look at 263,000 pages – every month! Why would you “allow” buyers (known to be in your area) to shop for an RV and NOT put some kind of attractive Display Ad in front of them? What makes your dealership so great? If you were a buyer, why would you buy from your dealership? 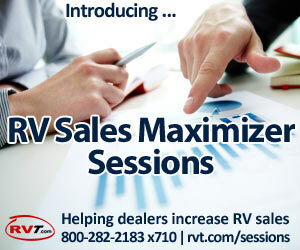 Read here about the “Easy Browsing RV Lot” banner ad campaign that drove 500% more traffic to this dealer. Wondering how many RV shoppers there are in your market area? Call your RVT rep, Mike Delepine at 1-800-282-2183 x 708 or Kathy Dresser x 712 for buyer counts / further information. The “Zero Moment Of Truth” – That precious instant … that split second when deep in the buyer’s psyche, he or she actually decides: “Yes. This is it. I’m definitely buying this …” … this thing, whatever it may be. Many dealers have told me that substantial numbers of buyers have reached their Zero Moments of Truth (or near ZMOT and they decided to become a lead with that dealer) as a direct result of watching the dealer’s RV videos. Interesting. Good to know. But, if the buyer’s “on” your listing and it does not create a ZMOT (I’m buying or I’m going to call this dealer) – which it certainly won’t for every buyer – remember, all is not lost. Re-marketing is a system that allows dealers (and OEMs, for that matter) to continue to market to known buyers – after they’ve left your listing. With re-marketing, buyers from any region you choose are shown a number of advertising impressions about your dealership on websites across the Internet – over any length of time. This keeps your good name in front of people who are known to be shopping for an RV. Savvy dealers are enjoying tremendous success by continuing to market to (i.e. by re-marketing) buyers over time. For more info, inquire here. 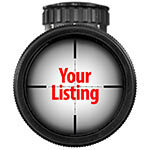 Make sure your listing is the best it can possibly be and ask the buyer to contact you. 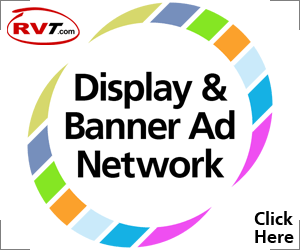 Run banners within buyer searches that point out various advantages of your dealership. Leverage the power of re-marketing to keep your name in front of known buyers for their entire buying cycles. What have you found to be an effective way to stimulate more calls when buyers are scoping out your RV listings?